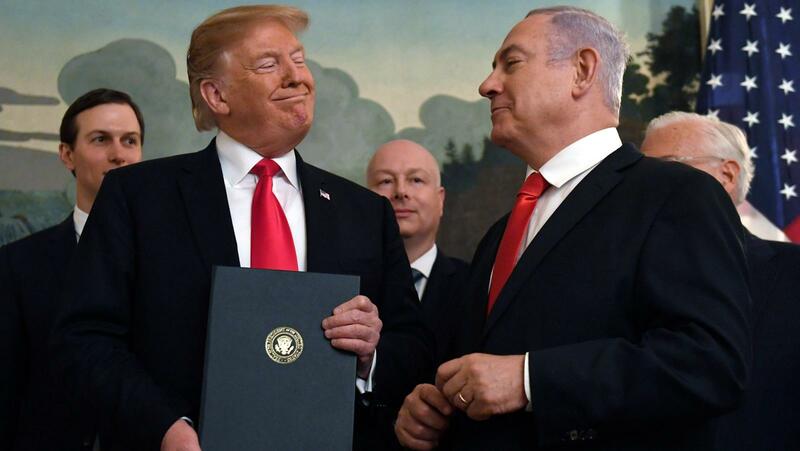 Dictator Donald Trump (DDT) turned the Middle East upside down in his efforts to get Israel’s Prime Minister Benjamin Netanyahu re-elected by his order that the U.S. recognizes Israeli sovereignty over the Syrian Golan Heights. Netanyahu faces a difficult re-election early April especially because he could be indicted on criminal charges, in his case for corruption, and DDT decided to shore him up. Israel seized the Golan Heights in southwestern Syria during the 1967 when a six-day war also took over Egypt’s Sinai Peninsula, the West Bank, and the Gaza Strip. After deliberating for six months, the UN determined that Israel would return the territories in exchange for permanent peace. Israel declared that the West Bank and Gaza would be described as “disputed” instead of “occupied,” claiming that Palestine was not a sovereign nation. Israel decided to keep a legal presence through leaving military authority in the Palestinian territory and continually encroached on the Palestinian land. Because Egypt and Syria were not questioned as sovereigns, only Israel disputed the disposition of the Sinai Peninsula and the Golan Heights. Egypt and Syria attacked Israel to regain its territories in 1973. Although Israel won the war, the UN passed a ceasefire and a U.S.-led Middle East Peace Process to return Arab territories in exchange for peace. Palestine was not recognized as a legitimate representative to regain the West Bank and Gaza until 1991, and Syria continue to object legitimizing Israel’s claims. The Camp David Accords in 1979, with the agreement of Israel and Egypt, returned the Sinai to Egypt and established permanent peace in which Syria would not go to war alone. Two years later Israel unilaterally annexed the Golan Heights despite Ronald Reagan’s rejection because of its violation of international principle blocking taking territory by force. Israel refuses to return to the 1967 lines since then because it would lose access to the Sea of Galilee which provides one-third of Israel’s fresh water. DDT ignored this history, international law, and U.S. policy. He claimed that the Golan Heights is a security buffer against Syria, but Israel has settled 20,000 civilians and 167 businesses, including a ski resort, on this land. Jordan established permanent peace with Israel in 1994, and Syria has not waged war since 1973. Libya and Iraq no longer threaten Israel, and Hezbollah has not initiated war from Lebanon. 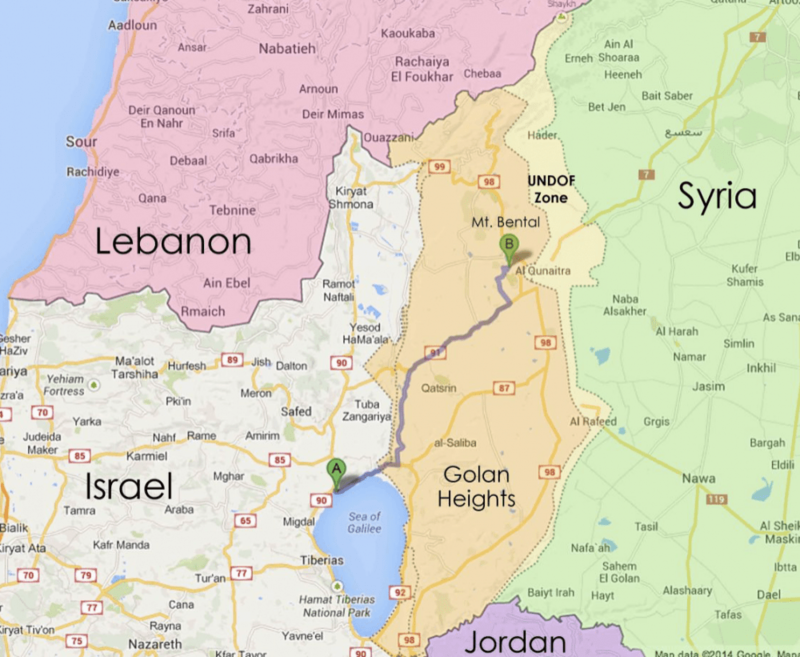 Israel has no credible military threat from Syria’s southern border. DDT spent his first two years trying to destroy the Palestinians. He “took Jerusalem off the table,” closed the Palestinians’ mission in Washington and America’s mission to the Palestinians in Jerusalem, and cut off aid to Palestinian civil society and humanitarian needs. His unilateral actions, however, oppose the support for both the U.S. people and the Israeli desire for peace with Palestine. For the first time since 2012, at least half of people in the U.S. favor the establishment of an independent Palestinian state “on the West Bank and the Gaza strip,” up almost 20 percent in the past four years. In Israel, 71 percent of the Jewish public believe that Israel’s control over the Palestinians is a moral problem, and 78 percent of Israeli Jews think that control of Palestinians in Judea and Samaria is bad for Israel. The poll also showed that 78 percent of the Jewish public and 93 percent of the Arab public in Israel agree that peace with people of other faiths is an important value in their religion, and 51 percent of the Jews and 72 percent of the Arabs agree that religious leaders representing different religions in the region should take part in making decisions related to peace. Before State Department Secretary Mike Pompeo left for a recent trip to the Middle East, he had a teleconference press briefing to discuss “international religious freedom”—with only “faith-based media.” He refused to submit either a transcript of what was said or a list of who was included. According to one invited news outlet, all those asking questions of Pompeo were Christian or Jewish. An invitation to a secular outlet was rescinded with the explanation that they were not “faith-based.” The House Foreign Affairs Committee, chaired by Eliot Engel (D-NY), has demanded “more information” about Pompeo’s decision to exclude all non-Judeo-Christian media and what was said. To Pompeo, U.S. military battles in the Middle East are part of a greater war of good against evil, including the elimination of both Israel and Islam. Regarding DDT’s meeting with evangelicals about his Middle East plan, Pompeo reported that this administration will achieve peace in the Middle East and that “persons of faith [i.e., only Christians] will have something to say about the plan.” DDT’s strong support of Israel comes from his evangelical base which needs the country to start Armageddon for the return of Jesus. A greater advantage for DDT in Israel’s takeover of Palestinian land, is that Jared Kushner’s family makes money from building developments on the West Bank. On the Christian Broadcasting Network, Pompeo compared DDT to Queen Esther, celebrated on Purim last Thursday, saying that DDT was chosen by God to save Israel from Iran. Historian Jon Meacham called Pompeo’s position “idolatry,” a hypocritical approach toward the man who “never felt the need to ask God for forgiveness …, to ask Jesus to forgive him of his sins,” according to Joe Scarborough. Pompeo was caught off guard with DDT’s tweet about Israel’s authority over the Golan Heights after Pompeo’s statement that the U.S. policy had not changed. Syria stated that DDT’s “blatant attack” on its sovereignty and territorial integrity will isolate the U.S.
Qatar’s Ministry of Foreign Affairs rejected the U.S. move and said that the Golan Heights are occupied Arab land. Turkey called the U.N. recognition unacceptable and said it would take action against it. Other criticism directed at DDT’s land grab for Israel came from the EU, UK, Germany, France, Egypt, Russia, and Venezuela. Pleased with himself, DDT and Netanyahu smugly grin at each other, but DDT’s decision to break international law leaves the U.S. even more isolated with only Israel as support. In the UN, 130 member countries have already voted against DDT’s decision to move the embassy to Jerusalem. DDT’s actions will exacerbate war in the Middle East. Israel no longer has leverage for peace agreements with Syria, and Syria’s President Bashar al Assad can argue that the U.S. no longer has a right in his country’s future governance. Iran and Hezbollah have justification for terrorism and military operations against Israel. Arab nations will be reluctant to oppose Islam countries to protect Israel. Russia may no longer tolerate Israeli strikes to prevent Iran’s adversarial movements, perhaps blocking Israeli’s freedom in Syria’s skies. DDT’s approval of Israeli’s takeover of Golan Heights supports not only Russia’s annexation of Crimea but also its destruction of “independence” of Abkhazia and South Ossetia from the Republic of Georgia. With the disregard for international law, Saudi Arabia may take over Qatar. Will DDT declare war on the world to continue his protection of Israel? The tributes to George H.W. Bush, 41st president of the United States, keep pouring out as the media showered accolades on him after his death at age 94. They called him a man “of the highest character”; said that he “served with character, class, and integrity”; and “did tremendous good along the journey.” The picture of H.W. included his ending the Cold War without “firing a shot,” his life as a beloved husband, grandfather, and great-grandfather. The media also described his brave military career. All this praise blurs H.W.’s history. Denounced the 1964 Civil Rights Act while running for senator. Defended Richard Nixon’s role in Watergate and criticized the press for asking the president questions. Helped facilitate Operation Condor as CIA director, a collaboration between South American military dictatorships that kidnapped, tortured, murdered, or disappeared thousands of political dissidents including former Chilean Foreign Affairs Minister Orlando Letelier, assassinated on U.S. soil during H.W.’s directorship. Hired Roger Ailes, later head of Fox, to run one of the most racist campaigns in modern history—until Dictator Donald Trump (DDT)—as he falsified the part that his opponent Mike Dukakis played in releasing Willie Horton, who raped a woman while on prison furlough. The law letting Horton out for a short time had been passed by a GOP governor before Dukakis became governor. Even H.W.’s campaign director Lee Atwater apologized for his part in the advertising, but H.W. never did. Decried Dukakis’ “Americanism” because he was the son of Greek immigrants. Set up the Gary Hart scandal which forced Hart out of the running. Flipped his policies—i.e., from pro-choice to anti-choice—to be elected. Backed dictatorships and death squads throughout Latin America. Made racist attacks on welfare. Displayed callous indifference to the AIDS crisis. Set the stage for continued actions during his presidency. Lied about his history in the CIA dating back to the ’50s. Appointed incompetent sexual harasser Clarence Thomas to replace civil rights hero Thurgood Marshall for a life-time term on the U.S. Supreme Court. Lied about Iraqi troops yanking Kuwaiti infants from incubators and massing on the Saudi Arabian border in order to start a war that killed thousands of civilians by dropping 88,500 tons of bombs on Iraq and Iraqi-occupied Kuwait. Used fabricated satellite images about a fictional Iraqi buildup that just didn’t exist to attack Iraq in 1990. Imposed never before seen restrictions and censorship on media coverage of his war, forcing media into supporting extreme warring patriotism. Promoted Osama bin Laden and al Qaeda’s jihad, continued the U.S. pattern of violating international military law, and used brain-damaging chemicals responsible for illness in at least one-third of that war’s veterans. Committed other war crimes including the deliberate destruction of essential Iraqi civilian infrastructure that couldn’t be repaired without foreign assistance. Vetoed the 1990 Civil Rights Act. Sent 24,000 military members into Panama to arrest Manuel Noriega, once a U.S. ally on the CIA payroll and considered an asset in Iran-Contra, an action that killed at least 3,000 Panamanians and set the scene for continuing wars. Refused to cooperate with a special counsel for the Iran-Contra affair by concealing information about his involvement as vice president during the investigation of Ronald Reagan who illegally traded missiles for U.S. hostages in Iran and used the proceeds of arms sales to fund Contra rebels in Nicaragua. Reagan sales were payback to Iran for keeping hostages in 1980 so that Jimmy Carter would lose the presidential election. The money was used to support “Contra” terrorists because Congress cut off funds to assassinate Nicaraguan elected officials and bomb civilians. Pardoned six people to block a trial about the Iran-Contra affair because he might have been called as a witness. Escalated the racist war on drugs and pushed greater spending for the “war” when federal agents lured a drug dealer to a park across from the White House, a war that failed to reduce drug abuse. 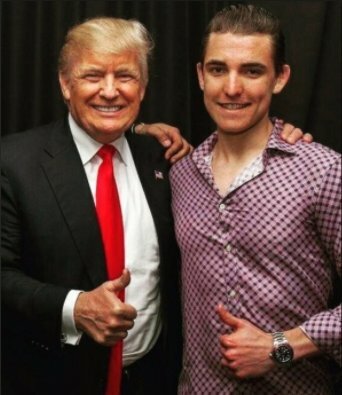 Groped women when they were being photographed with him. Set the tone for opposition to reversing climate change, positively viewed during the 1980s. Ignored the AIDS crisis killing hundreds of thousands of people through ignorance and lack of funding. 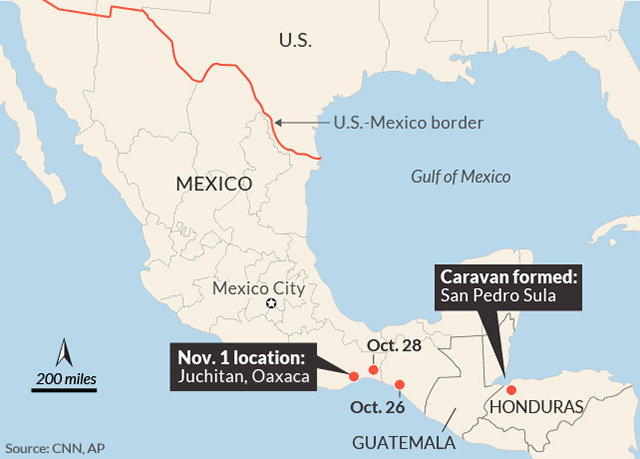 Opened Guantánamo to keep Haitian refugees escaping violence in their country from entering the United States. Bailed out the savings and loan industry with $124.6 billion in taxpayer money that gave over $4 million to pay off his son Jeb’s loan. Opposed raising the minimum wage and vetoed a bill to increase it to $4.55 an hour. Hired people in 1992 to investigate passport files for proof that his opponent, Bill Clinton, had become a secret Communist while in Russia and went through the files of Clinton’s mother. H.W. has been called a “patrician,” a descendant of a distinguished family. This family has a long career of creating and profiting from war crimes. H.W.’s father, Prescott, a Yale member of the secretive Skull and Bones Society like H.W., helped give financial assistance to the Nazi movement and Adolf Hitler, even after the U.S. entered World War II, and profited from slave labor at Auschwitz. H.W. continued the family tradition of amassing wealth by generating military enemies and then profiting from his covert business dealings connected to them. Through the Carlyle Group, rebranded as an investment company but owners of companies with military and security contracts, H.W. was also connected with the Bin Ladin family during the Middle East wars. H.W. became actively involved with the Carlyle Group after he lost his second run for president and increased his wealth through advising his son, George W., while he was president. Saudi royalty made a sizable profit from Carlyle investments with the Carlyle Group but pulled out after the 9/11 attacks on the World Trade towers. Three-fourths of the perpetrators who crashed four commercial airplanes to kill thousands of people on 9/11/01 were Saudi Arabians, but both H.W. and his son George W. Bush protected their Saudi royal friends. Shafiq bin Laden was meeting with the Carlyle Group, including H.W., at the same time that his brother Osama destroyed the twin towers. Seventeen years later, many people associate the 9/11 attack with Iraq instead of Saudi Arabia. Judicial Watch called on H.W. to resign from the Carlyle Group, owning at least 164 companies at that time, after George W. became president. H.W. stayed, and made a tidy profit from the 9/11 attack and George W.’s ensuing wars in Afghanistan and Iraq when Carlyle’s businesses considerably picked up. Vought Aircraft, for example, received over $1 billion in defense contracts after laying off 20 percent of its workforce before 9/11. James Baker, H.W.’s Secretary of State who extolled H.W.’s virtues after he died, also joined the Carlyle Group to manage relationships with Saudi clients and to defend Saudi Prince Sultan bin Abdul Aziz in a trillion-dollar lawsuit brought by families of 9/11 victims. They accused him of using Islamic charities to funnel millions of dollars to terrorist groups connected to al-Qaeda. The sultan died in 2011, the lawsuit has continued for 17 years, and Baker went on to make his son, James Baker IV, also wealthy. The media glorification is a prime example of revisionist history, depicting H.W. as a perfect gentleman without reporting any of his flaws. 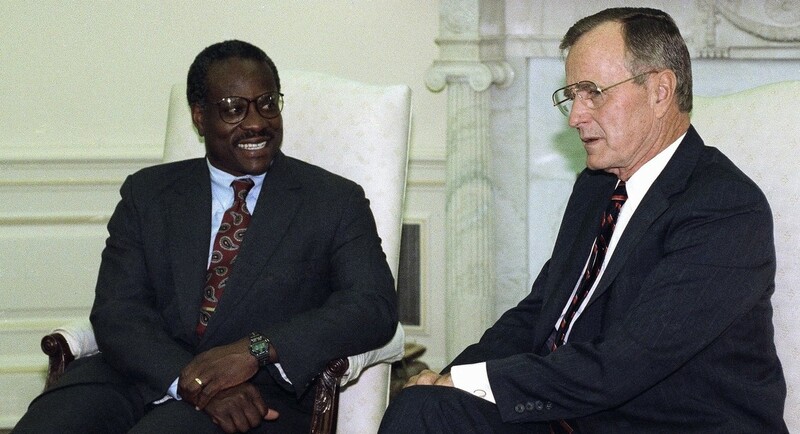 His lasting legacy will be Supreme Court Justice Clarence Thomas. H.W. never wavered from his “total confidence” in Thomas that he first declared on October 9, 1991, despite charges of sexual misconduct against Thomas. On the high court, Thomas has opposed Roe v. Wade, claiming that the Constitution does not address abortion, and dissented to the majority of Planned Parenthood v. Casey in 1992. When Thomas spoke before the court in 2016, it was the first time in ten years. Until Brett Kavanaugh was confirmed as a justice, Thomas took the most conservative position. In a term with only 59 signed opinions, Thomas would have erased six vital precedents because they didn’t fit his personal understanding of what the Founding Fathers wrote. Thomas supported racial discrimination in Texas redistricting because, according to his opinion, the Constitution did not mention districting. In another case, Thomas ruled for a Muslim ban: he stated that the Constitution doesn’t advocate injunctions. Ironically, he had upheld an injunction against President Obama’s DAPA, granting temporary deferral of deportation to the parents of the young “Dreamers” protected under the Deferred Action for Childhood Arrivals program, DACA. Thomas voted for Citizens United v. FEC which permits almost unlimited dark money in elections and put H.W.’s son into the Oval Office in Bush v. Gore. Twenty percent of appeals court judges appointed in the past two years clerked for Thomas. At the age of 70, Thomas is the longest-serving justice with the possibility of becoming Chief Justice. He is H.W.’s gift to the United States. Jerusalem: DDT Further Isolates U.S.
Evangelical approval for Dictator Donald Trump (DDT) fell 17 points last week, and DDT wants to bump it up again—recognize Jerusalem as Israel’s capital. In the 19th century, Bible teacher John Nelson Darby created the theory that the Jews had to control Jerusalem before Jesus could return to earth in a second coming to save his loyal followers by the seven-year suffering and turmoil called the Armageddon when Satan is defeated and Christ controls the world. Hal Lindsey popularized the belief during the 1970s in The Late Great Planet Earth. At DDT’s rally in northern Florida, conservative state Sen. Doug Broxson said that DDT may bring the biblical end times. The crowd cheered. DDT has already shown success in starting a conflict with his Jerusalem executive order as protests have spread across the Middle East. The U.S. Consulate General in Jerusalem barred all personnel and their families from traveling in the West Bank and Jerusalem’s old city immediately after DDT’s proclamation. Both the Palestinians and the Israelis claim Jerusalem as their capital, and part of the city is also occupied by Christians. The last quarter is occupied by Armenians. Although Jordan claims the east half of Jerusalem and Palestine calls Jerusalem its capital, the city has a distinct status as not belonging to any country, according to the international community. Only the U.S. and the Czech Republic recognize Jerusalem as Israeli’s capital, and the United States would have the only embassy in that city. The senior Christian leader in Jerusalem, Greek Orthodox Patriarch Theophilos III, sent a letter with a dozen other church leaders in the Holy Land warning of “irreparable harm.” DDT’s move “will yield increased hatred, conflict, violence and suffering in Jerusalem and the Holy Land, moving us farther from the goal of unity and deeper toward destructive division”, they wrote. DDT’s violation of international law in his executive order follows the U.S. pattern of allowing the illegal expansion of Jews-only colonial settlements in occupied Arab Jerusalem and across the West Bank. But this act is creating even more problems in the area. DDT has removed any leverage in the negotiations for peace between Palestine and Israel and confirmed that the U.S. is a completely biased party to the Israeli-Palestinian conflict. Twenty-five former Israeli Ambassadors, academics, and other dignitaries publicly denounced the move. The pope of Egypt’s Coptic Orthodox Church canceled his meeting with VP Mike Pence when he travels to Cairo this week, saying that DDT did not take into account the “feelings of millions of Arab people.” Only the visit to Israel may be pleasant to Pence; the ones to Germany and Egypt are guaranteed to be chilly. For the first time, Palestinian leader Mahmoud Abbas, committed to a two-state solution, is refusing to meet with a senior U.S. leader. Egyptian President Abdel Fattah el-Sisi predicted “possible dangerous repercussions,” and Turkey warned the decision represented a “red line” for Muslims. The Middle East is already volatile, and Turkey’s president, Recep Tayyip Erdoğan, said the U.S. was “plunging the region and the world into a fire with no end in sight.” He hinted Turkey might cut diplomatic ties with Israel if the embassy is moved. History has already shown how a supposedly small act can be incendiary. The second intifada in late 2000 began when Ariel Sharon declared the Temple Mount complex, site of the Dome of the Rock and al-Aqsa Mosque, the holiest place in the world to Jews and the third holiest site in Islam, reserved for Israel. The result was a two-year bloody war of suicide bombers and military attacks that killed both Israelis and Palestinians. In the Palestinian-Israel conflict, symbols matter. Countries such as Britain, France, Germany, Italy, Japan, and China have condemned DDT’s action as a threat to peace. DDT also ignored Defense Secretary Jim Mattis who recommended a different course. Secretary of State Rex Tillerson argued against DDT’s order and took the brunt of anger in Europe during a tour to convince State Department officials that they are better off without any employees and, in some cases, without ambassadors. Federica Mogherini, the foreign policy chief of the European Union, stood beside Tillerson while telling reporters that the U.S. was wrong to back away from the Iran nuclear deal and that the move of the U.S. embassy would undermine peace. Countries such as Britain, France, Germany, Italy, Japan, and China have condemned DDT’s action as a threat to peace. Other foreign ministers showed their disapproval of DDT’s action in an indication of decreased respect for the U.S. Relationships with Europe could worsen if DDT appoints Mike Pompeo to lead the State Department. Only VP Mike Pence seemed pleased as he watched like a proud father as DDT held up the order like a toddler who had accomplished a fine BM. DDT’s decision to placate the evangelicals also benefits his Jewish son-in-law, Jared Kushner, who is working to further an anti-Iran coalition in the Middle East developed around Saudi Arabia and Israel. A few days before DDT signed the order, DDT pressured the PLO office in Washington with eviction if they didn’t agree the Israeli human-rights-violating settlements. Kushner has supported illegal West Bank Israeli settlements for years, helping to funnel tens of thousands of dollars to Jewish institutions in the settlements encroaching on Palestinian land through his family’s foundation. In late 2016, Kushner ordered Michael Flynn to persuade Russia to delay the UN Security Council vote criticizing these illegal settlements although Russia didn’t follow Flynn’s request. Kushner’s family also has lucrative real estate deals with Israeli financial institutions, one of them shared ownership and profits on a New Jersey apartment building. Another Kushner relationship is with two Israeli banks investigated for helping wealthy clients evade U.S. taxes. Only 23 percent of evangelicals believe in a two-state solution for Palestinians and Israelis whereas a majority of U.S. Jews support a Palestinian state. Only 17 percent of U.S. Jews think that moving onto Palestinian land helps Israel’s security. Almost two-thirds of evangelicals think that a candidate’s stance on Israel matters “a lot” whereas only nine percent of U.S. Jews agree with that statement. UN Ambassador Nikki Haley claims that moving the U.S. embassy to Jerusalem and declaring the city to be Israel’s capital is “the will of the American people.” Yet 59 percent of people in the U.S. prefer that the U.S. select neither side of the Palestine-Israel conflict, and 63 percent oppose moving the embassy. As with all his other actions, DDT shows no thought. He merely threw gasoline on the embers of a fire, perhaps hoping for an easier war than in North Korea so that he can look like an important leader in the world. Instead he has further isolated the United States from any part in global decisions, all of which negatively affects the United States’ status in the world. DDT’s latest word on the deaths of four U.S. soldiers in Niger: “I didn’t [authorize the mission]. But I have great generals ….” As with the death in a Yemen mission after his inauguration, the un-commander-in-chief blames the generals. “This was something that was, you know, just, they wanted to do …. and they lost Ryan.” A few years ago, the coward-in-chief wrote, “Leadership: Whatever happens, you’re responsible. If it doesn’t happen, you’re responsible.” No longer. Corker, head of the Foreign Relations Committee, also said that DDT “has great difficulty with the truth” and that “world leaders are very aware that much of what [Trump] says is untrue.” As Josh Chafetz, Cornell Law School professor, recently: “Politics is, among other things, a discursive practice. Words are actions.” In response, DDT ridiculed Corker’s physical short stature. Sen. Jeff Flake’s (R-AZ) announcement that he won’t run for re-election in 2018 brought out DDT’s ire after Flake’s 17-minute speech about DDT’s “reckless, outrageous and undignified” behavior. Flake’s decision went from a “chem-trail” Kelli Ward (so called because she thinks that the government is poisoning people with the jet trails) being a slam-dunk in the GOP primary to chaos in a state that is slowly turning purple. The rest of the GOP has a position about DDT’s fitness—nobody cares and don’t tell anybody about it. House Speaker Paul Ryan (R-WI) said, “I don’t think the American people care about that. Sen. John Thune (R-SD) said Republican senators worried about DDT’s fitness should keep their fears “private” and talk about it “within the family.” Republican patriotism. Deaths from the opioid overdose crisis have hit the same level as HIV during the 1980s and 90s, but DDT has declared it an “emergency,” not a “crisis,” with no additional funding. (Maps of its growth here.) DDT’s solution? “Just say no,” just like the failures of Nancy Reagan. Claiming that it refuses to “facilitate” abortions, DDT’s administration imprisoned a girl who had crossed the border into the United States and wouldn’t allow her to see a lawyer or visit a doctor for a month until the administration quit appealing the judgments of four courts in her favor. Immigration took her to a Christian “pregnancy center” that told her why she should carry the fetus to full term and keps stalling in the hope that she would go beyond 20 weeks before the case was settled. After Washington D.C. appeals court voted 6-3 in her favor, she had the procedure last Wednesday at 16 weeks. Federal officials also violated a court order when they told the girl’s mother she was pregnant. The girl had said that she didn’t want her parents to know because they beat an older sister who was pregnant to cause a miscarriage. In control of the girl was E. Scott Lloyd, the former attorney for the Knights of Columbus and a fierce opponent of abortion who heads up the Office of Refugee Resettlement. Over 100 women—“handmaids”—marched and protested against the GOP’s attack on women’s reproductive rights in Denver when VP Mike Pence came for a state GOP fundraiser. The image comes from Margaret Atwood’s dystopian novel A Handmaid’s Tale inspired by Ronald Reagan’s restrictions on women. In the book, women were forced to become pregnant and bear children. House Republicans introduced a bill preventing doctors from performing abortions after six weeks, usually before women know they are pregnant. The 20-week ban has passed the House and gone to the Senate. Prototypes for DDT’s “wall” are up, and the New York Magazine asks which one is the “worst.” Your choice of “soothing slat design,” “light-toned wood,” an abandoned “project,” “monolith from 2001,” “experimental,” “vulnerable to breach by Slenderman,” iInfected rusty comb,” and “straight-up boring.” Matt Novak discovered how easily a drone can take drugs from Mexico to the U.S. USA Today described the fiasco of the bidding and building process based on emails with contractors. The U.S. Air Force is reportedly preparing to put nuclear bombers on 24-hour notice, a position not taken since the Cold War. The U.S. tried to prove that that Kabul was safe because of this week’s visit by Secretary of State Rex Tillerson, but they lied about his location. Tillerson never got off the Bagram air base. From Ron Paul: The U.S. occupies 53 out of 54 African nations. When DDT ran for president, he said he would eliminate crime on his first day. What he’s done is to eliminate crime statistics. The majority of Houston Texans players knelt during the national anthem despite the comment from owner Bob McNair that “we can’t have the inmates running the prison.” He later apologized to the players, saying that he didn’t mean them. Another worst of the week, confirmed to manage tax policy at the Treasury Department with a 26-0 vote, is David Kautter, who will be acting head of the IRS starting on November 12. Through his 30 years of work with work with Ernst & Young, Kautter developed skill in helping clients avoid taxes. In his confirmation hearing, he said he wasn’t involved in these tax shelters and said he felt bad about not preventing the scheme. Sen. Ron Wyden (D-OR) said that Kautter promised “he would maintain the highest level of ethical and professional standards if he is confirmed.” Robert Mercer, who paid at least $20 million for DDT’s election, is $7 billion in income tax arrears from his tax-avoidance scheme. Wyden can now find out whether his trust in Kautter is misplaced. Kelly Knight Craft, wife of coal billionaire Jon Craft and DDT’s new ambassador to Canada, says she believes in both sides of the climate warming question. She finished her statement about the world’s environment to Canadian media by saying that the U.S. is interested in what’s best for the United States. The acting administrator for the Pipeline and Hazardous Materials Safety Administration—who doesn’t need confirmation—is connected to a company that makes money from the sale of oil spill equipment. The New Yorker has another cover of DDT that he can post at his golf courses. The White House is so embarrassed about DDT’s golf-playing that it’s trying to hide his activities—like his 75th day of golf last weekend In 280 days of office. Yesterday DDT was on his Virginia golf course for the fourth weekend in a row. Too much for one blog post! More coming. With his approval ratings tanking, Dictator Donald Trump (DDT) may be attempting to model George W. Bush whose ratings rose from 50 percent before the 9/11 attacks to 85 percent—the highest for any president. Six months after W.’s preemptive war on Iraq, the approval dropped back down to 50 percent, but still went back to the White House a year later, with a little help from Ohio computers. If one war is good, then many should be far better, DDT may figure. Thus his attacks on North Korea, Venezuela, immigrants, transgender people, health care, voters, women, the climate, and the Republicans, to mention a few. Then the Dow Jones dropped over 200 points, the second fall in two days. Thus far, the military is not on his side and has done no preparation, but DDT said that he is “locked and loaded” if North Korea makes a move, probably threatening a nuclear strike that he can do all on his own. 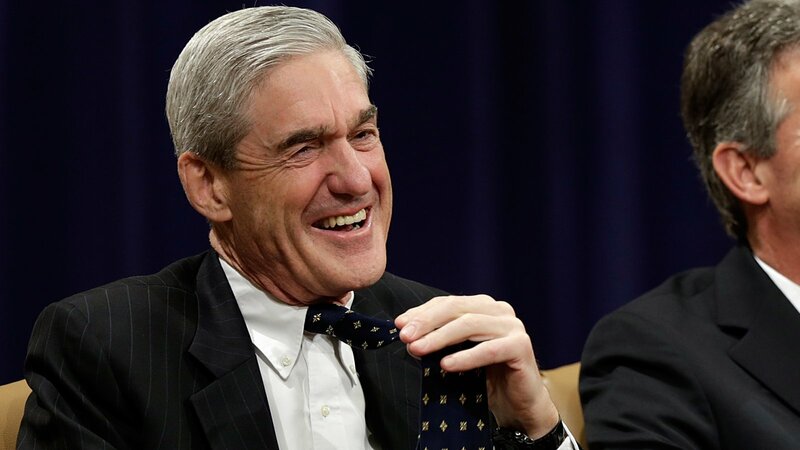 Nuclear war could be a distraction from Robert Mueller’s investigation into his finances and connection with Russia. Twitter users are asking that DDT be blocked from tweeting because his threats of violence violate Twitter’s rules and terms of service. Last month, people accused DDT of the same violation after he tweeted the video clip of himself beating up someone labeled CNN. Individuals blocked from DDT’s Twitter account are suing him because it is a public forum and “official statement.” Blocking them prevents availability to the information and the right of dissent. Toilet paper featuring old DDT tweets are also sold out. This week marks the 72nd anniversary of the tragic nuclear bombing of Nagasaki. DDT rages against North Korea, but he has failed to the positions of South Korea ambassador, the Head of East Asian and Pacific Affairs at the U.S. Department of State and the Pentagon, Undersecretary of State for Arms Control and International Security to handle global nonproliferation—among many others. DDT has wanted to bomb North Korea for at least 18 years, as an interview with Tim Russert on Meet the Press shows. Also obvious in this clip is how much DDT’s ability to articulate issues has diminished since then, a frightening difference if one thinks about DDT suffering from dementia. Not satisfied with war on North Korea, DDT threatened action in Venezuela. Once again, DDT refused any diplomacy, refusing to take a phone call from President Nicolás Maduro after the outrageous threat to militarily involve itself in the country’s problems. Maduro had warned that the U.S. might try to invade Venezuela, and DDT’s threat makes the action appear a reality. Furious about the failure of Trumpcare, DDT continued his war against GOP members of Congress with a focus on Senate Majority Leader Mitch McConnell (R-KY). One tweet ordered, “Mitch, get back to work and put Repeal & Replace, Tax Reform & Cuts and a great Infrastructure Bill on my desk for signing. You can do it!” Later he indicated that he might be replacing McConnell although that’s not his right. In DDT’s pattern of “tweet first, read later,” he sent out a piece about how “Insurers [are] seeking huge premium hikes on ObamaCare plans” from Fox and Friends, an article that explains DDT’s sabotage of the Affordable Care Act as the reason for rising health insurance premiums. Other tweet wars last week were against the “AmazonWashingtonPost,” the “FailingNewYorkTimes,” Hillary Clinton, President Obama, and Sen. Richard Blumenthal (D-CT). The New York Times has collected “The 351 People, Places and Things Donald Trump Has Insulted on Twitter.” The list is notable for DDT’s limited vocabulary—fail (105 times), fake (105 times), dishonest (91 times), variations of lie (83 times), dumb or dummy (61 times), sad (51 times), terrible (44 times), etc. Another possible DDT war may be with potential 2020 candidates. Sens. Tom Cotton (AL) and Ben Sasse (NE) have gone to Iowa this year, Gov. John Kasich is considering a visit to New Hampshire, and Mike Pence’s full schedule produced the idea that he’s like a vice-president during the last couple of years of a president’s second term. Sen. Jeff Flake (AZ) is touting his book about conservatism unlike that of DDT. While DDT complains to his campaign rally audiences about Hillary Clinton, these prez wannabees work the donors. Pence still vociferously denies any interest in running against DDT and continues to look worshipfully at him in every photo op. DDT may think that he’s protected by Sean Hannity, Tony Perkins, Jim DeMint, and Grover Norquist, but his incessant alienation of Republicans may work against him. Everyone seems to be a target for DDT except Russia and white supremacists. He praised Vladimir Putin for evicting 755 members of the U.S. embassy in Russia because it would give DDT a “smaller payroll.” These people continue to be on the payroll, however, because they will be employed elsewhere. The reaction to DDT’s statement was so negative that he said he was being “funny”—inappropriate and probably inaccurate. Russia isn’t laughing either. Despite a DDT’s large number of tweets since the bomb exploded at a mosque in Bloomington (MN) a week ago, not one has addressed this act of terrorism. White supremacist White House aide Sebastian Gorka said that there is no comment because the act may be faked by a liberal. He claims that DDT is waiting until an investigation is finished, something that DDT didn’t do when he accused a robbery during June in the Philippines of being terrorism. Hate crimes against Muslims increased 91 percent during the first half of 2017 compared to the same time period in 2016. DDT did tweet about the white supremacist attacks in Charlottesville (VA) today but said that the violence was “on many sides,” meaning that he refuses to blame the white supremacists agitators. 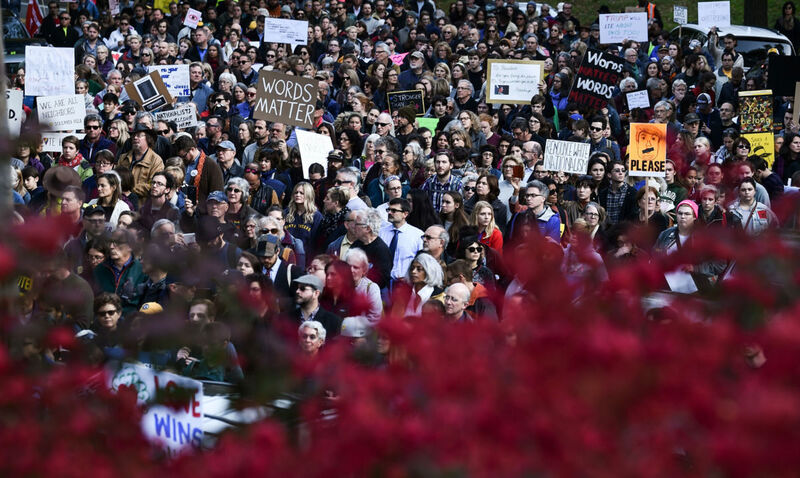 A white supremacist killed one and injured nineteen counterprotesters by speeding his car into a large group before repeatedly backing up and attacking them again. Everyday at 9:30 am and 4:30 pm DDT gets a briefing, but the folders are only positive news about him—admiring tweets, photos of him looking “powerful,” and praise-filled “news,” most likely from Fox. Much as it seems like satire, this information is for real. DDT thinks that the role of a president is to sit in the Oval Office, issue orders to pass legislation, and then sign bills. Has Time magazine killed hopes for John Kelly staying as chief of staff? He’s on the cover as “Trump’s Last Hope.” Usually this praise above DDT means that the subject will be soon gone. Forty-three years ago this week Richard Nixon resigned. How long will DDT last?